Supreme Court has asked states to forcibly remove all tribals, forest-dwellers whose claims under the Forest Rights Act have been rejected. 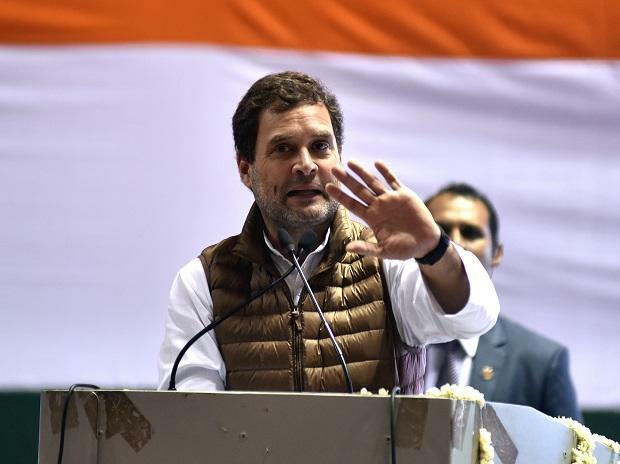 Indian National Congress president Rahul Gandhi has written to chief ministers of all Congress-governed states to file review petitions in the Supreme Court against mass-scale evictions of tribals and other forest-dwellers. “The Union tribal affairs ministry has pointed out that forest staff often raised frivolous objections leading to rejections. In this backdrop, evictions based on rejected claims alone, without a proper review and appeal process violets the due process of law,” he added. Business Standard reviewed the letters to all the chief ministers sent on February 23 by the Congress president. A total of 1.89 million claims had been rejected by November 2018, according to the tribal affairs ministry. Potentially all these households face the threat of eviction after the Supreme Court order. Business Standard reviewed the detailed orders sent to each district by the state chief secretary asking for such a scrutiny. These orders were initially passed in January. The minister said after the Supreme Court order on February 20, the state government has decided to do it in a time-bound manner and instructions to the effect would be sent shortly. In the adjoining state of Jharkhand where 26.3 per cent of the population is tribal, the opposition party Jharkhand Mukti Morcha prepared to hold protests in all districts and convene a larger inter-state meeting to ramp up pressure. The party's executive president and former Chief Minister Hemant Soren told Business Standard, “We cannot allow this to happen to tribals in our state. Historically they have anyway being evicted for development and industrial projects. We are beginning our protests and will take whatever steps we can to prevent any forced evictions by the state government. This includes taking all legal recourses that may be required.” BJP is in power in Jharkhand. No state or central BJP leader has so far come out categorically opposing the evictions or announced a decision to oppose the court order. In the northeast region, the BJP government in Assam had earlier indicated its inclination to evict people. In its affidavit to the court it had said district level authorities had already submitted plans for evictions in their respective areas. Several civil society groups and NGOs have come out against the Supreme Court order over the past few days. “Reports by the state government and independent committees have shown that the process of recognising rights has been poorly implemented. In several states, systematic rejection of claims has happened without stating the reasons or giving a chance of appeal…and most significantly the Forest Rights Act does not have a provision of automatic evictions. We appeal to the nodal ministry and state governments to present these as part of their response to Supreme Court’s directions and uphold the rights of the forest dwellers to life, dignity and livelihood,” said Oxfam India. No other prominent wildlife group in the country, except for the petitioners in the case, have till date come out in support of the mass eviction orders.